This post contains minor spoilers for District 9. I am not one to belittle the videogame medium by demanding it become more like film. The two arts have their own limitations and possibilities that make them unique in their own right. That being said, artists in both mediums should learn from each other - it would be a waste to do otherwise. With that in mind, all game makers should pay attention to the recently released District 9. The first feature length film directed by Neil Blomkamp, District 9 follows the exploits of Wikus van de Merwe, a meek employee of a military contractor tasked with moving a destitute population of refugee aliens. The entire affair plays out very much like a videogame, as some have already pointed out. As such, its accomplishments reveal important lessons the game industry should contemplate. The videogame elements of District 9 are startlingly apparent; which is no surprise considering Blomenkamp was slated to direct the Halo movie. The protagonist is a lowly peon, gaining abilities as the film progresses, alien technology makes for unique and upgradeable weapons, and a mech sequence tops it off. These videogame tropes join thematic elements that would feel as much at home on your console as on the big screen. District 9, particularly the first twenty minutes, is an excellent display of storytelling in what is ostensibly an action film. The film incorporates the viewer into a world, avoiding the heavy-handed exposition common in story driven games. Initially filmed as a documentary, Blomenkamp quickly and efficiently establishes an engaging alternate reality. The film style changes smoothly, following Wikus for the majority of the film, while occasionally reverting back to the documentary style. As a gamer, I stand amazed at Blomenkamp's ability to move between scenes with such fluidity. The lesson is simple, epic stories need not bog themselves down with unmanageable proportions of exposition and historical texts. It can actually be relatively easy to create an expansive world by hinting at possibilities. Horror games, with their tendency to leave the origin of their environments frighteningly vague, already succeed in this regard. The stylistic changes occurring in District 9, including the transitions between character perspectives, is impressive. Blomenkamp accomplishes these stylistic shifts without losing the frantic pacing of an action film, an approach potentially transferable to games: character driven games need not focus solely on the protagonist. The belief that our avatars should always be the center of attention has become dogmatic. Players and film viewers alike can empathize with more than one individual. Call of Duty 4 accomplishes this feat with tact, including a powerful scene devoid of avatars. Film elements aside, District 9's accomplishment economically is worthy of attention. 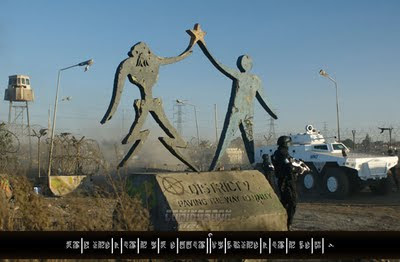 Peter Atencio touches on this subject in his excellent blog article, District 9's Effect On the Film Industry. As Atencio points out, District 9 cost only $30 million dollars, a trifle amount compared to its summer release brethren. As a comparison, Funny People cost $75 million despite its all human cast. G.I. Joe: Rise of the Cobra, a more CGI loaded action film, cost roughly $175 million. 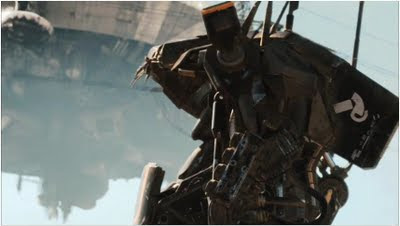 According to the Los Angeles Times, despite its relatively low budget, District 9 earned roughly $73.5 million its first two weekends. All of which is impressive considering it is a brand new intellectual property with an unknown director. By many peoples' standards, the games industry is flooded with sequels and game cliches. Just today Leigh Alexander of Kotaku elucidated this point with clarity: "Derivative games sell, sequels are the watchword for the holidays, and the audience's appetite for war campaigns and space marines seems never to wane." The film industry is far too similar in this regard. So although District 9 is still generally about a human male killing people with alien technology, the lesson is still applicable to the games industry. With relatively little money, "word-of-mouth marketing," and maybe a little backing of a well known figure, new ideas can make a big splash. Perhaps game developers should take similar creative risks. Understandably, making a film is a very different endeavor than making a game. For one, Blomenkamp cut costs by filming in South Africa without well known actors; game developers can't really take advantage of this opportunity. Whether smaller independent games can achieve success with the backing of games industry elites like District 9 did with Peter Jackson, or whether some of these stylistic elements can be implemented with ease in videogames remains to be seen. Regardless, when a videogame-like film succeeds so resoundingly, we should all pay attention. Sweet merciful crap, I can't believe District 9 cost only $30 million to make. Focusing your budget in the right place makes a huge difference apparently. There's definitely a development lesson there. Yea, it blew my mind too. $30 mil is ridiculous considering the visual effects the film pulled off. I wonder how much of this accomplishment is attributable to Peter Jackson's foreknowledge. It would be cool to see videogame auteurs get so involved with the creation of others.